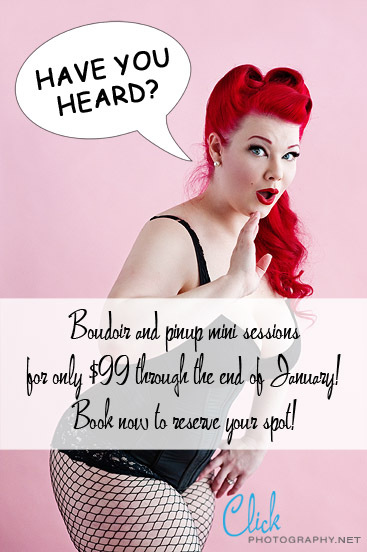 $99 pinup and boudoir Mini Sessions for January only! $99 pinup and boudoir Mini Sessions for January only! Get ’em while they’re hot!